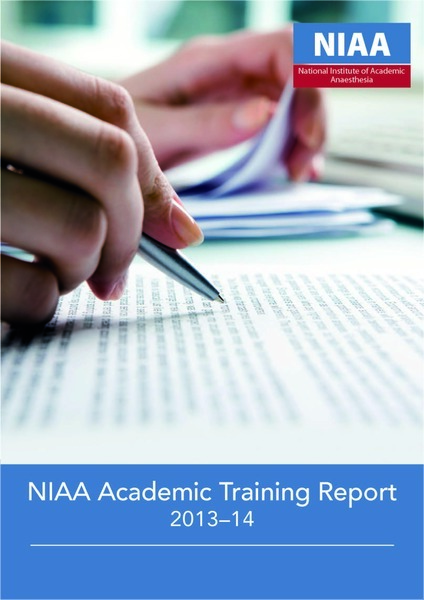 The NIAA has published its first Academic Training Report, dated for 2013-14. 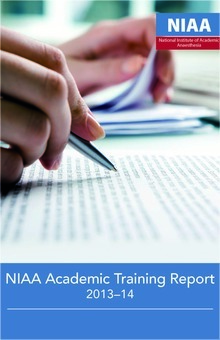 The report provides examples of the academic productivity of the future of our profession. The report showcases the work of trainees who have undertaken a recent period of research, both those who are enrolled in higher degrees, and also those who have taken on one-year OOPR or OOPE posts dedicated to academic activity. We hope that this report will be used as a resource for trainees across the country who are interested in academic opportunities, enabling them to see what is going on both within and outside their geographical location, and enabling them to contact trainees and supervisors to seek more information on research opportunities which are of interest to them.